Are you on a hunt for a good subwoofer? Then, you are at the right place. A powered subwoofer will enable you to have a detailed sound effect when you are hearing your favorite track or watching your favorite movies. 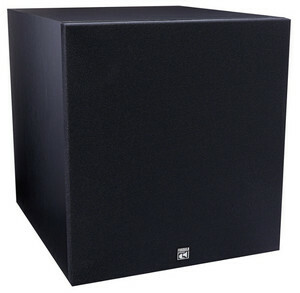 Subwoofers are designed to reproduce the low ranges of bass which requires more power. They are powered by powerful amplifiers so that they can effectively reproduce bass from about 140Hz to 20Hz (and even below). This allows you to have an unparalleled music experience. Having seen the glimpse of the subwoofer, the next job is to choose the best subwoofer. Here is where the challenge starts. You cannot just pick a product on the go. 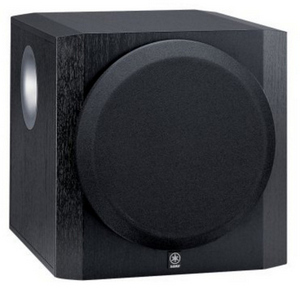 There are various aspects to consider before making your choices on the right subwoofer. 1. Size - The size of the Sub-woofer depends on what kind of speakers you are going to use with them. If you are using satellite or bookshelf speakers then an 8 or 10 inch sub will be good match. If you are using tower speakers (AKA Floor-standing Speakers) then a 12 inch sub will be good combo. One thing you need to keep in mind is that not all the same sized drivers produce same level of power. It means a 10 inch driver from one brand may produce 100 watts of power, while the same sized driver from a different brand may produce 200 watts of power. 2. Placement - Where you are going to place the sub will determine weather you will buy a front-firing sub or a down-firing sub. If you want to show off your Subwoofer and place right in front of you along with other speakers, then a front firing sub will be better. If you want to place the sub in a corner of the room or maybe under a table somewhere, then a down-firing sub will be more suitable as it delivers the base more evenly across the room. 5. Price - With digital amplification, we can now afford higher wattage Sub-woofers for a low price. A 100 watt 10 inch sub from renowned brands such as Polk Audio or Yamaha may cost about $150 dollars. 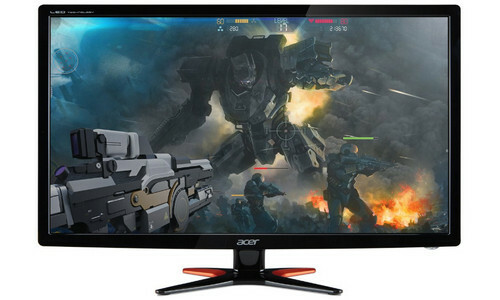 For more wattage such as 300 or 400, the price may go up-to 500 dollars. ​With the market is flooded with various brands of subwoofers, it is quite natural to have some confusion over selecting the best product. We have chosen the best seven powered subwoofers here for reviewing. Hope it will help you with your shopping for the proper subwoofer. 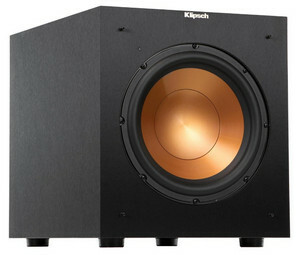 This subwoofer from Klipsch comes as a boon for all those looking for an ideal 5.1 system. It comes with a powerful 10-inch copper woofer. This front firing driver paves way for an outstanding subwoofer performance for a deep bass and placement flexibility. The power amplifier comes as the all-digital type delivering a dynamic power of 300W. It makes the audio impressive for your music, movies and any other type of multimedia need. It provides an ultimate accuracy in sound reproduction. You can feel a true-to-source sound accuracy with this highly efficient power amplifier. The IMG (injection molded graphite) woofer is the highlight feature of this product. Though being light, the IMG woofers are rigid. This provides a better low-frequency response with a reduced cone break and distortion. 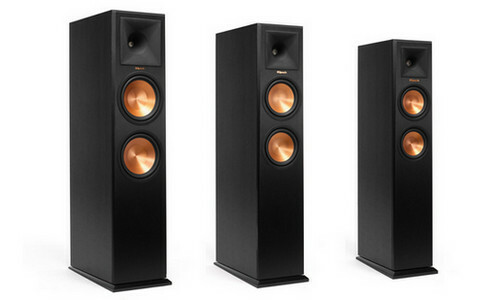 The low-pass crossover and phase control allow for a smooth blending of low-frequency tones with various speakers, not just the Klipsch speakers. This helps you to achieve an ideal level of bass. This subwoofer comes with the compatible line/LFE inputs. So, you need not worry about its compatibility with your receivers. It works in conjunction with almost all the receivers, be it old or new. The front-mounted power LED indicator will let you know if the subwoofer system is on or off. It comes with a friendly design structure so that you can mount the system in whichever way you desire. As you saw, this subwoofer does have various interesting features to give you a fulfilling audio experience. 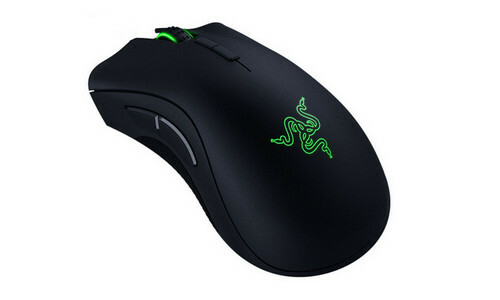 It comes with a good compatibility and has a powerful amplifier for an enhanced performance. So, you have good reasons to go for this product. The Polk PSW505 comes with a bass reflex design with a real wood veneer finish. 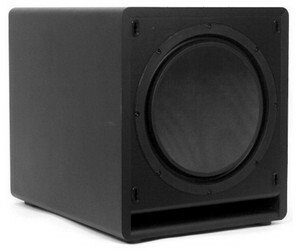 The rear-firing slot venting in this subwoofer is known to improve its bass response. The cleverly designed slot load vent helps in the effective reduction of noise and distortion. Its one-inch front baffle MDF construction helps for a better audio clarity. The cabinet interior looks unique in the way the slot port is used. Its top part is used as the horizontal brace supporting two vertical braces. The cabinet’s bottom is supported by four hard plastic feet. This rock-solid built helps in the suppression of panel resonance and a better linearity. The robust built of the subwoofer can be felt in the subs. You will experience a precise and accurate sub with its huge hi-roll surround. When you have clear subs, you will have a better audio experience from your system. 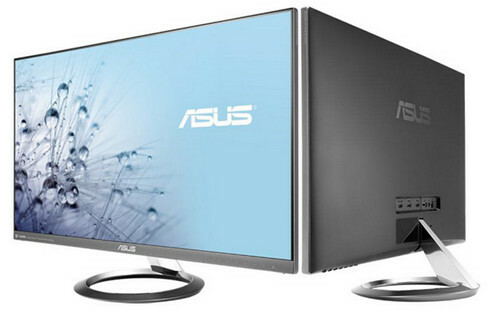 It comes with a powerful amplifier delivering about 460W dynamic power. The adjustable low-pass crossover along with the phase switch allows the subwoofer work in conjunction with the speakers. The other fascinating feature of this subwoofer is the automatic sensing of the program signal. You will find that this subwoofer turns on on its own with the presence of the program signal. When it does not find any signal within a specified span of time, it turns off. This subwoofer from Polk comes with a good build quality. It does have various compact and flexible features. Obviously, this is one such product which you should consider before opting for a subwoofer. And not to mention the very high popularity of Polk Audio sound systems. This subwoofer from BIC America comes as an ideal choice for those of you looking for upgrading your home theater system. It comes with a specially designed power amplifier with BASH technology. The long-throw driver powers the subwoofer to give a detailed bass for the low-frequency sound. With the 12-inch injection molded woofer, it comes with a classic and attractive design. The subwoofer comes with a solid construction and durable materials have been employed in its build. The black laminate finishing adds value to its exterior design. One of the highlighting features is the patented BIC ‘Venturi’ vent. It helps in the noise reduction that especially filters out the port noise, one of the main culprit for distorted audio. It also comes with various other important features like adjustable crossover, adjustable volume control, and automatic signal sensing. The subwoofer offers various options for connections. You have a choice to select between various ports like Dolby receiver, Dolby Digital 5.1, 6.1, 7.1 or DTS surround sound receiver. The subwoofer comes with three options for power settings, namely, on, off, signal-sensing automatic setting. You will find a power indicator on the rear side of the speaker. If you are looking for improving your already existing home theater system, this should work fine for you. It comes with various compatible ports to work in conjunction with your system. It also comes with the high-performing audio features. This is yet another subwoofer from Polk with various powerful features. It comes as an ideal complement to your home theater system. Adding this to your audio system improves the bass performance. The power amplifier has an interesting feature here. It dynamically performs based on the content of the music or the movie. It is designed to deliver a lot of power when the music demands. But it minimizes its power consumption when you reduce the volume or switch the system to standby mode. The Klippel optimization paves way for an optimized motor structure, suspension and voice coil alignment. This advanced design feature helps in the better audio performance, be it any audio levels. The forward firing design helps for an extended music impact for all the sound levels. This subwoofer employs some of the best materials for its building. These materials undergo tough quality tests like drop tests, signal response, UV exposure, salt exposure, etc. It also comes with an advanced manufacture techniques. Due to the ideal construction and designing of the subwoofer, you will tend to have a resonant-free and pure bass. As we saw, this product is known for its robust construction and powerful performance. No doubt, it is a good choice for those of you looking for a subwoofer to your home theater system. This subwoofer from Yamaha comes with various sophisticated features. Its Advanced YST (Yamaha Servo Technology) is the important aspect of this subwoofer. It is uniquely designed to cancel out impedance by the combined action of speaker and amplifier. This causes the speaker unit to have a linear motion during the audio delivery. The YST II technology helps in optimizing the overall system performance. It comes with a powerful amplifier delivering 100W for a rich sound effect. Its front-firing design helps in the reduction of base distortion and delivers a clarified base effect. The long-stroke cone driver in this subwoofer comes with a magnetic shield. This will enable you to place this subwoofer system near any electronic devices. You will never have any interference problems which otherwise will be a hindrance to place your sound system. The MDF cabinet contributes to a reduced vibration and resonance effects. Other standard features include the high and low cut filters, input level control, etc. It comes with an easy setup. Since this subwoofer is free of interference issues, you can easily mount it at a comfortable zone. Due to its adaptable placement features and great audio quality, this Yamaha subwoofer enjoys a special place in the minds of buyers. If you are looking for an attractive subwoofer with impressive sound qualities, you should go for this product from Yamaha. It comes with various beneficial features and design. You can never go wrong with this product. 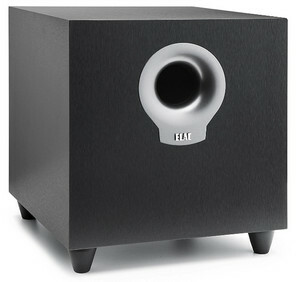 This Debut S10 subwoofer from ELAC comes with some of the best features. It uses the BASH amplifiers, that combine the functionalities of two amplifiers namely the Class AB amplifier and the Class D amplifier. The Class AB’s sound quality along with Class D’s efficiency produces an effective subwoofer amplification in this ELAC Debut subwoofer. The BASH amplifier is superior in that it uses the power supply modulation to track the signal. This ensures that the supply of the necessary voltage to its Class AB amplifier. It can deliver a power of about 200W, which is quite enough to produce better low frequencies. You will have a delighting music experience that is life-like. It comes with a dual flared vent. This will reduce the air turbulence which otherwise causes unwanted noise signals. Hence, you will have an undistorted audio delivery. It comes with a robust MDF outer walls and vinyl finishing. The internal bracing paves way for a reduced vibration. All the necessary adjustments of the subwoofer are available at the rear. The controls include volume, low-frequency cut-off, and the phase control. This subwoofer has an automatic power mode, wherein the system automatically shuts off within 30 minutes of being inactive. Once the signal is detected, the subwoofer will be turned on. This product will be an ideal choice if you looking for a powerful amplification for your sound system. It comes handy to upgrade your system. You can add this ELAC subwoofer and find something unique in your favorite tracks that you have missing all the time. This is one another product from Klipsch that deserved to be mentioned. It comes with the powerful BASH digital hybrid amplifier. Hence you can expect a highly efficient and reliable sound quality from this subwoofer. It is bestowed with various design features that enable it to deliver more output with low energy consumption. A tight musical bass is possible with its highly damped fiberglass driver and advanced front slot port. Just like the sound quality, the subwoofer has an appealing outlook. It is stylish and compact to be placed anywhere. You can extend the bass with the use of just fewer wires. If you desire for a wireless connection, you can just opt for an optional Klipsch WA-2 wireless subwoofer kit. It has a great build quality and finishing. The subwoofer is designed to adapt room of any dimension. You will have bass that fills your room. It not only works well with the Klipsch speakers but with all other brands. As it is cross-brand compatible, you can use this subwoofer with almost any of your speaker or home theater system. This is yet another subwoofer with some of the latest technologies imparted in it. It comes with well-built constructive features as well as powerful sound quality. 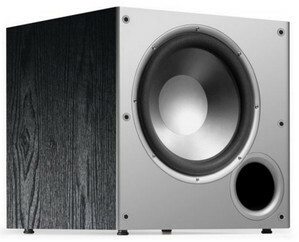 Hence, you should consider this subwoofer if you looking for a bass extension for your audio system. It is beyond doubt that powered sub-woofer will enhance your music experience. 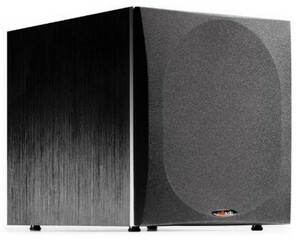 If you are an audiophile, you will really fall in love with the Sub-woofer’s performance. But all that depends on the wise choices you make. Some of them are appreciated by the buyers to be the best subwoofer they have ever had. Perspective differs but it is wise to go for the brands that have been widely appreciated by the current customers. Above all, your audio demands should be given the highest priority while choosing a subwoofer for your audio system. Once you understand your needs, you can be clear about your selection. 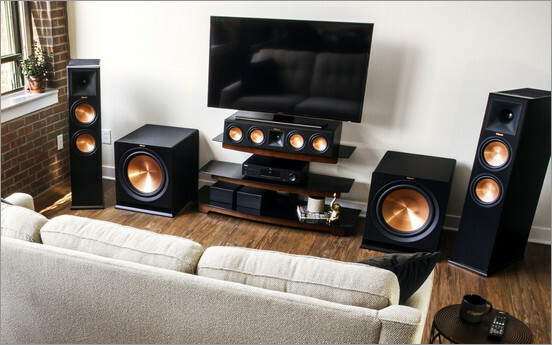 This way you are sure to reach the right subwoofer for your home theater needs.